Word count is extremely important, especially for novels. It is generally not profitable for a publisher to produce a book that is twice the average size and will take up twice the average space in a store. If your story is outside the standard length then you best have a good reason. Generally, the only writers that can get away with breaking the rules are authors that have a fan base (i.e. longer for sequels). 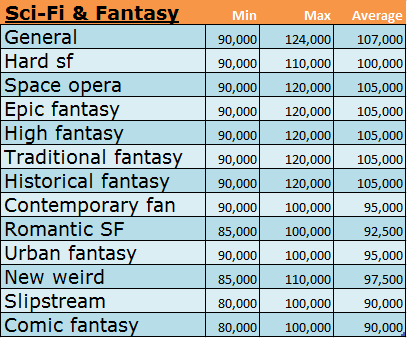 In addition, genre can influence the expected word count. Agents who specialise in your genre will have up-to-date information on the current word count trend as these figures can fluctuate. 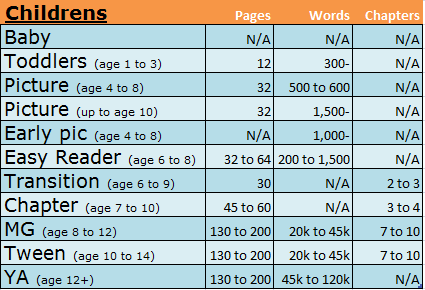 Children's fiction will have different word counts depending on the age of the reader. The truth is that there is no rule on how long a chapter should be. You should write until the chapter comes to a natural end. Most novels have on average 30 to 40 chapters and an average length of 2,500 words. However, use common sense when deciding on the length. Keep in mind that many agents will request to view the first three chapters of your novel. Therefore it is always important to make sure these initial chapters are edited well to grab their attention but you also need to keep a careful eye on the length. If the chapters are too long then they won't have time to read them to see if you are worth investing in. If the chapters are too short then they won't get a decent feel for the book. "Page Counts: In most cases, industry standard preferred length is 250 words per page... so a 400 page novel would be at about 100,000 words. 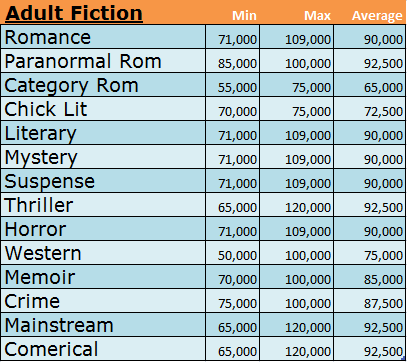 If you want to see what size book is selling in your genre, take a look on the shelves. If the average length is 300 pages, you're looking at a 75,000 word manuscript (approximately)"